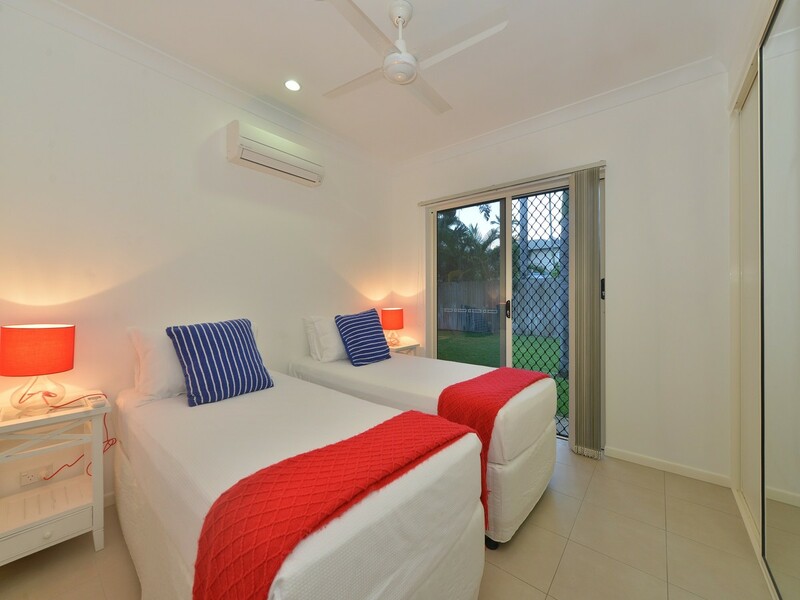 Red Anchor at 30 Mudlo Street is ideally located close to the centre of town. 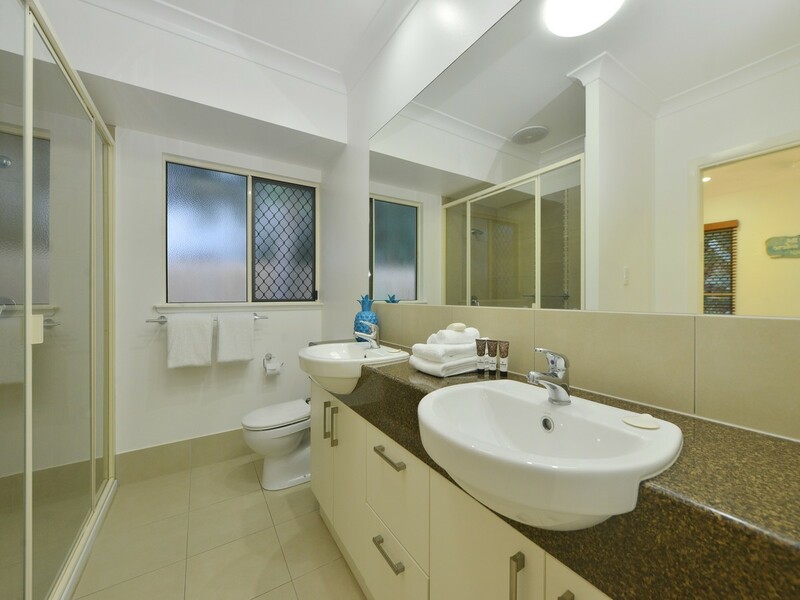 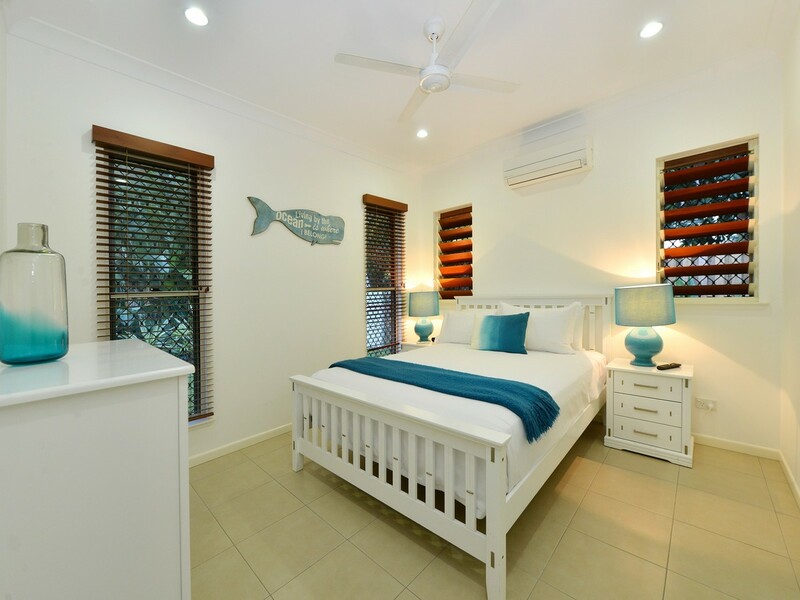 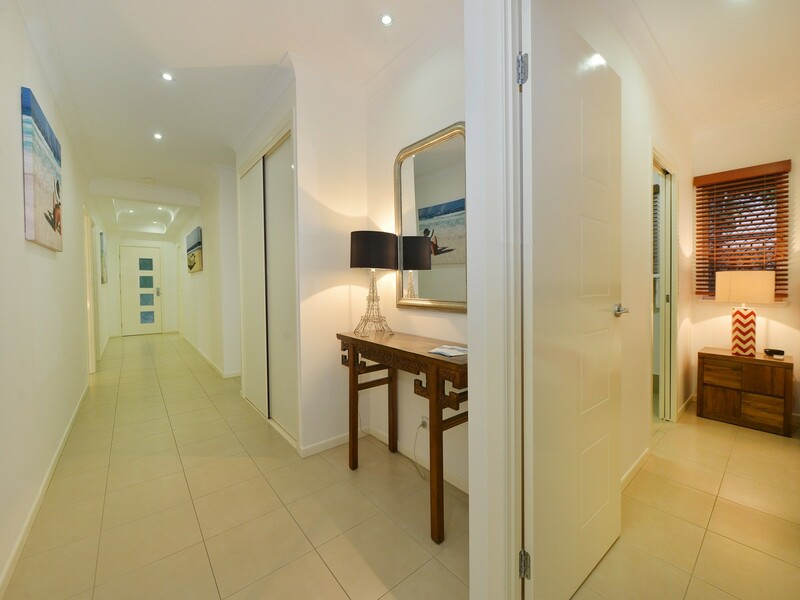 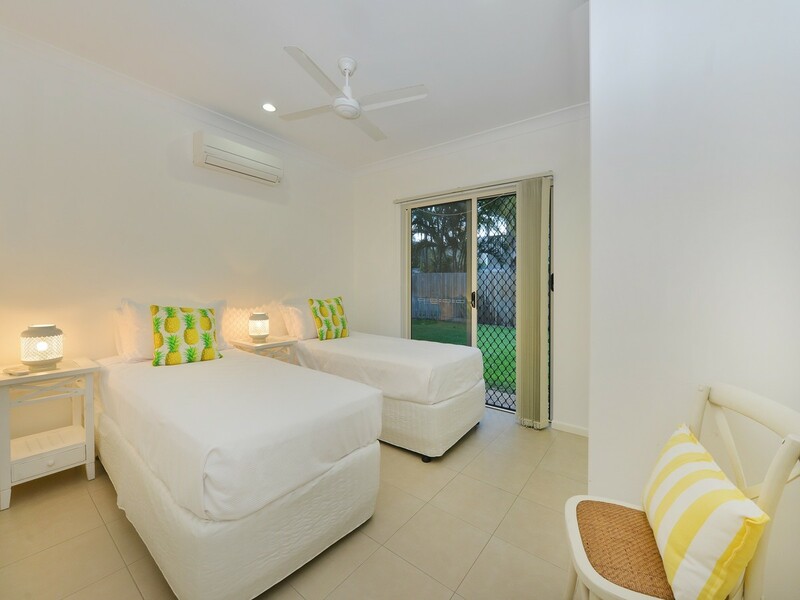 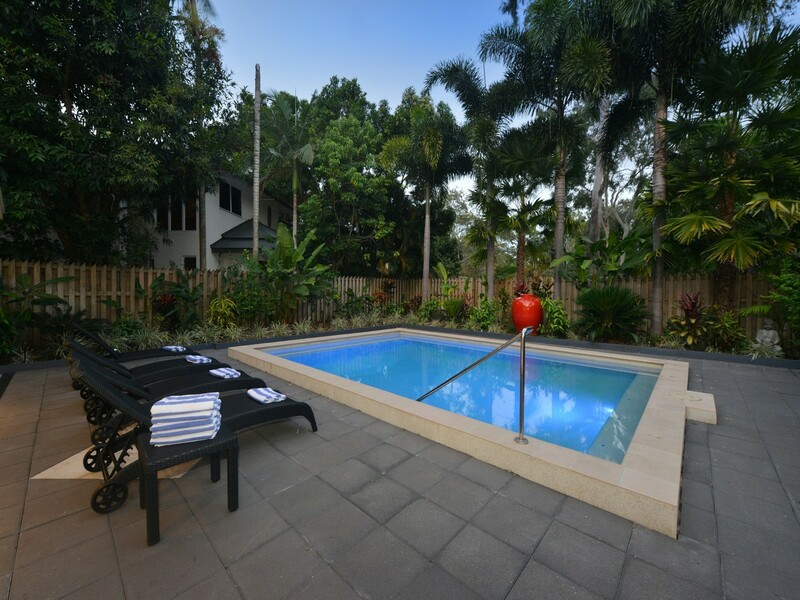 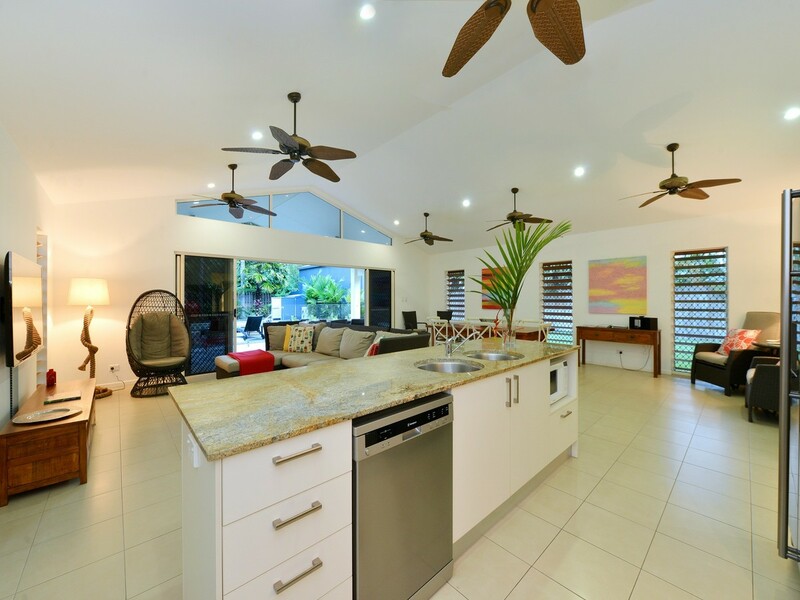 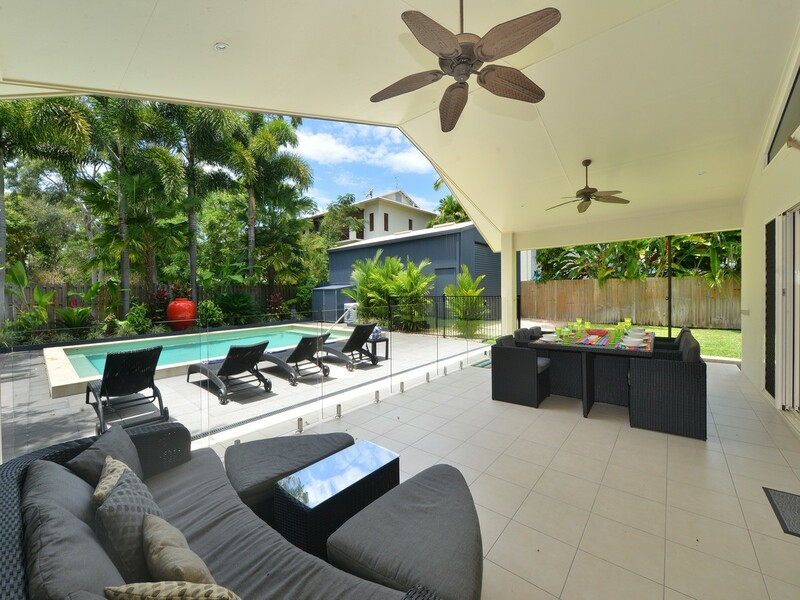 Macrossan Street, the Reef Marina and Four Mile Beach are each just a short stroll away. 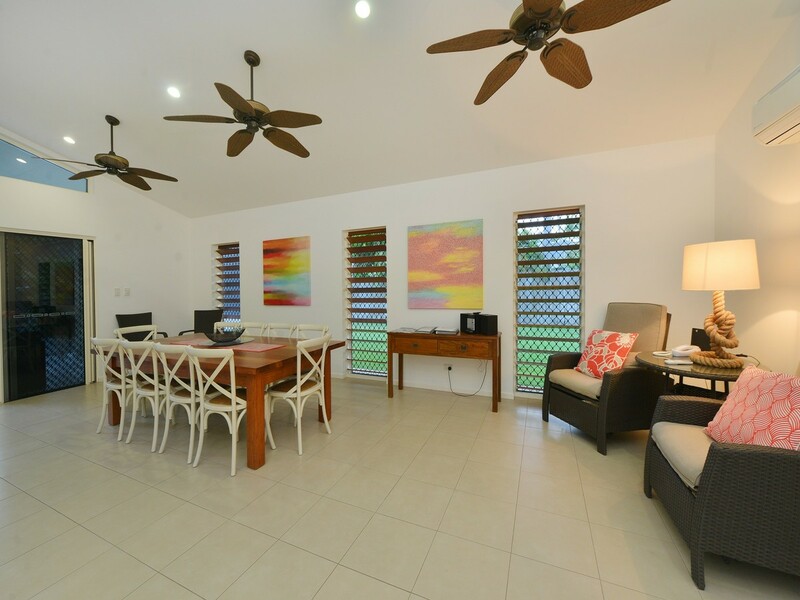 This is a spacious five bedroom, three bathroom home, perfect for two families or a group of friends. 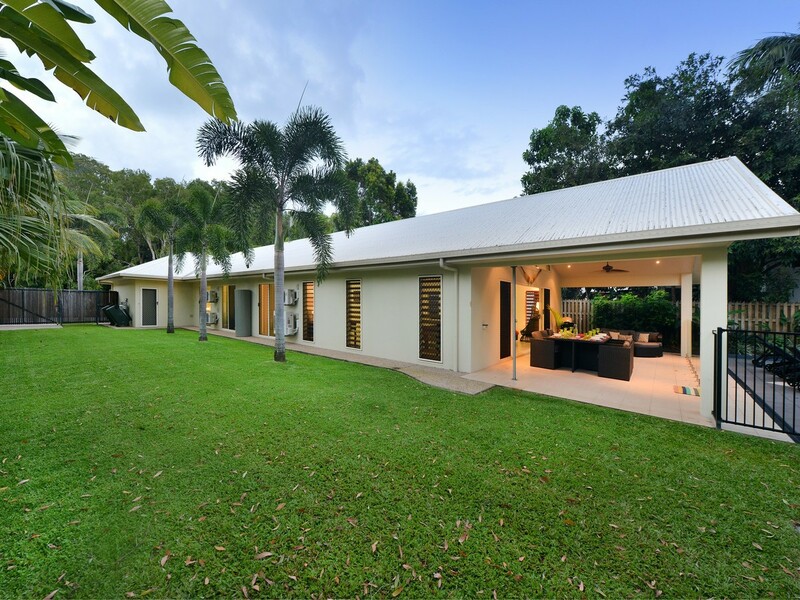 A modern single storey home with an open plan living and dining area that opens out to a large entertaining space under the roof line. 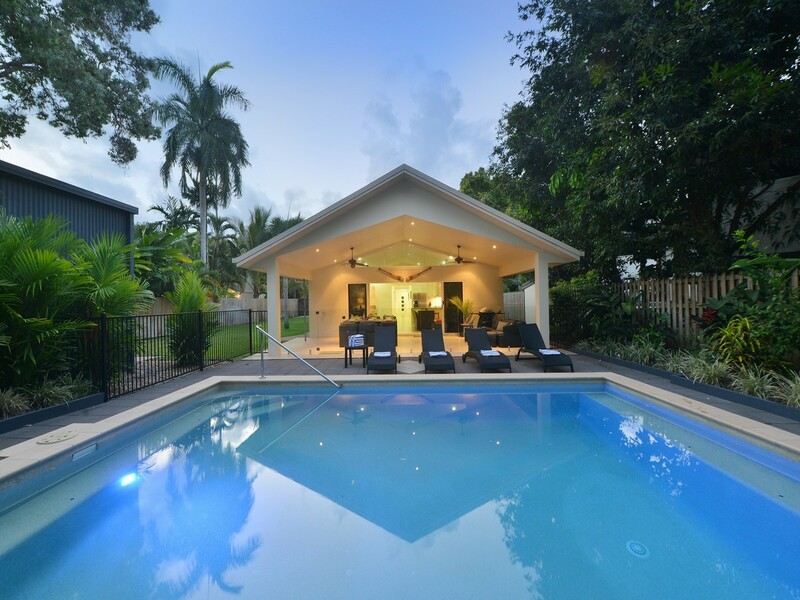 Outside is a grassy lawn stretching along the side of the house and a heated swimming pool, all surrounded by tropically landscaped gardens. 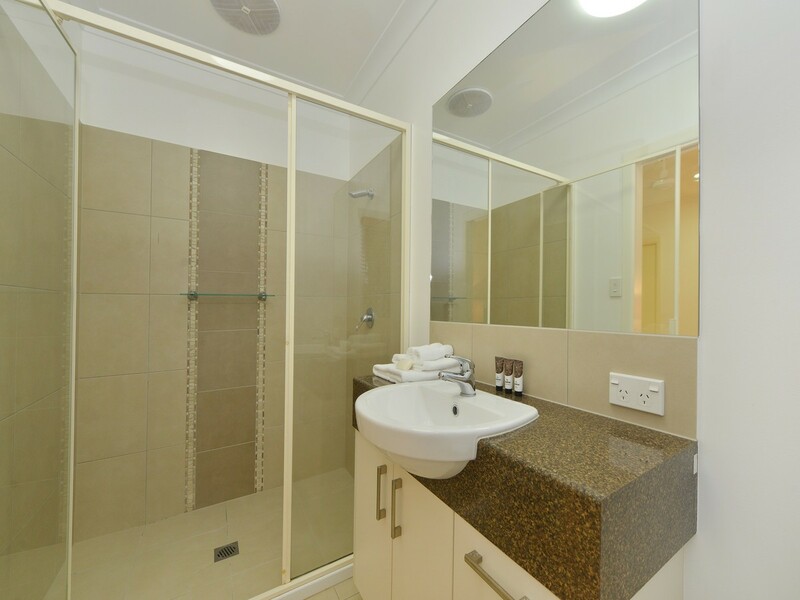 The kitchen is well equipped with a walk-in pantry filled with crockery, glasses, cutlery, cookware and all the latest kitchen appliances to make your stay easier. 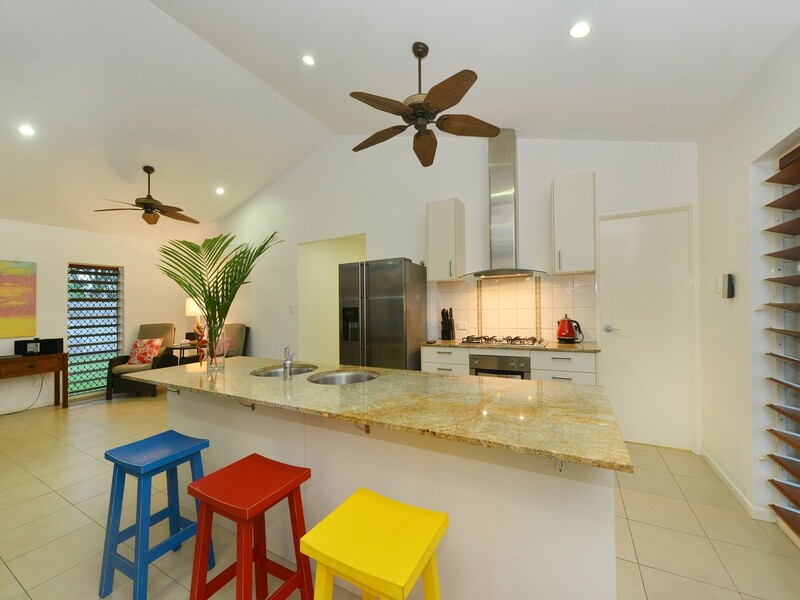 An island bench breakfast bar is perfect for meals on the go. 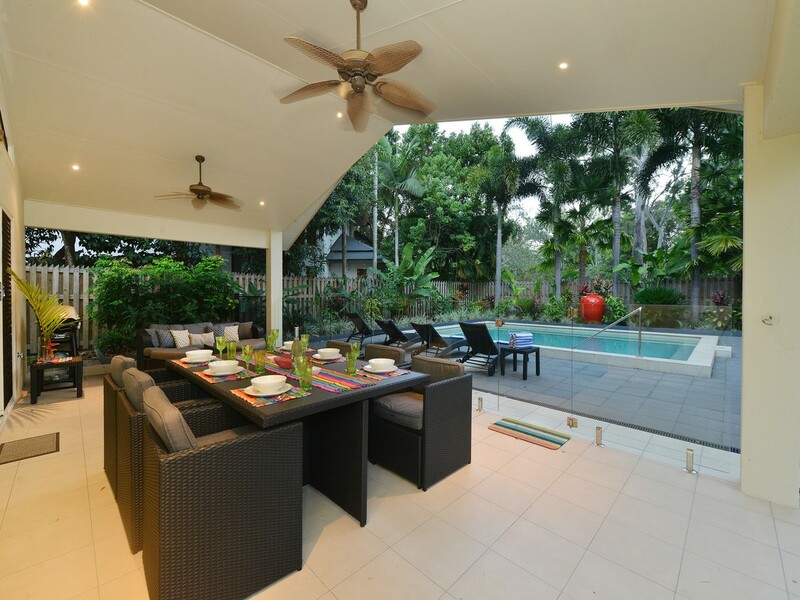 Alternatively there is a choice of sit down dining options inside, or outside overlooking the pool. 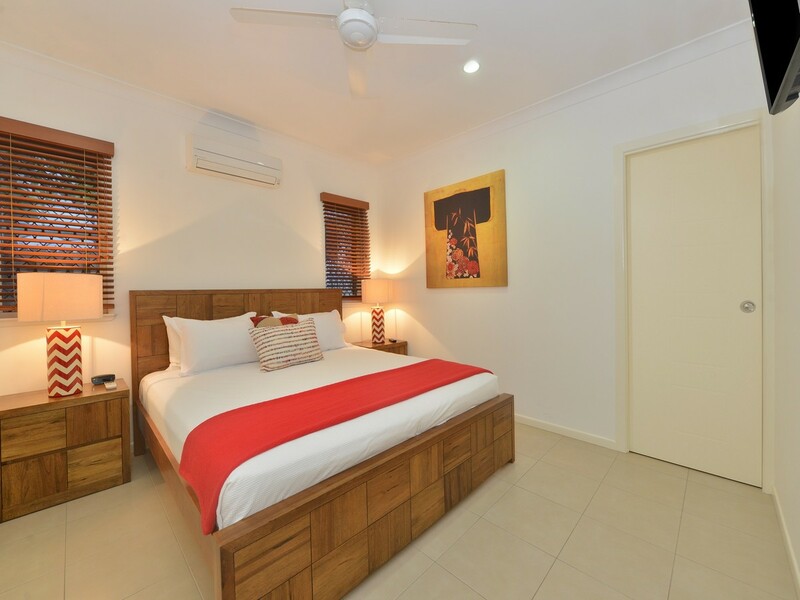 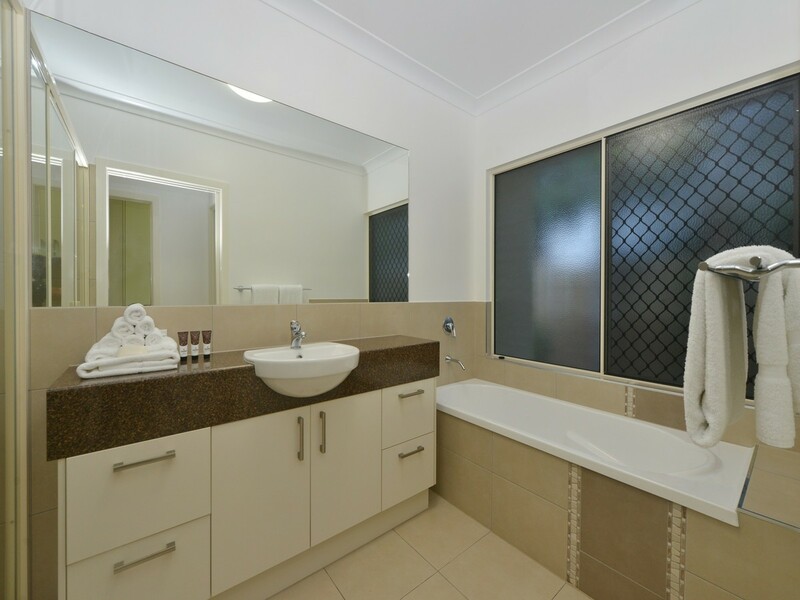 Five bedrooms include the master bedroom with en suite, the second queen room with en suite and the remaining three bedrooms sharing a full sized bathroom. 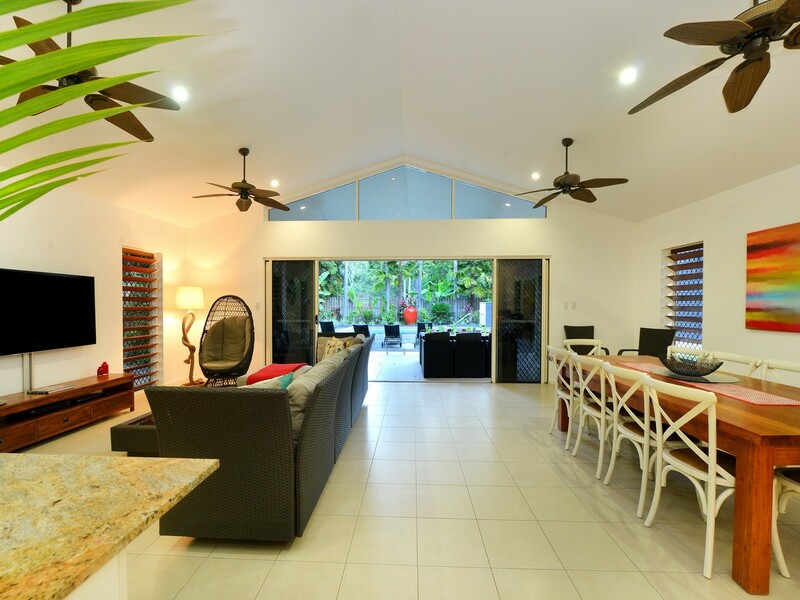 The house has split system air conditioners and full screening with fans throughout. 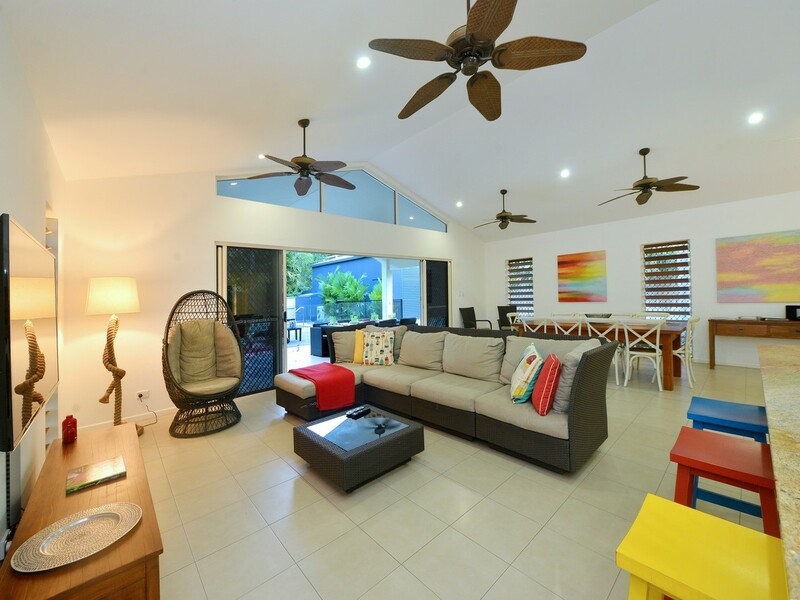 Entertainment includes a TV, DVD and CD player a Foxtel connection in the main living area as well as a wireless internet service.